Josh Beaver, a native of Charlotte, joined The Nichols Company as a Broker in November of 2003. Since joining TNC, he has been focused on various aspects of commercial real estate with an emphasis on retail, office and corridor commercial brokerage. Josh handles the leasing & sales of several shopping centers in Charlotte and regionally. Josh represents many local, regional and national retailers in their site selection efforts as well. In 2004, Josh won the award of excellence at The Nichols Company. For the last several years, he has won Deal Makers Awards for achievement in commercial brokerage and been recognized numerous times as a top retail broker by the Charlotte Region Commercial Board of Realtors (CRCBR). For 2016, Josh was voted by his peers as the Best Tenant Rep in Retail. He has been recognized as broker of the year at The Nichols Company for overall production several times over the years and has also won the prestigious CoStar Power Broker award numerous times during his career. Josh became Vice President of The Nichols Company in December of 2007. 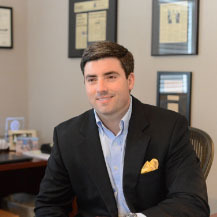 In 2012, Josh was selected as a recipient of Forty Under 40 as recognized by the Charlotte Business Journal. Josh is a licensed real estate broker in North Carolina and South Carolina. He is a member of the International Council of Shopping Centers (ICSC), where he serves on the planning committee for the Carolinas Idea Exchange and is the North Carolina/South Carolina State Retail Chair. Josh is an active member of the Dowd YMCA of greater Charlotte, a member of Christ Episcopal Church and CRCBR, where he once served on the technology committee. Josh is a former member of the Charlotte Regional Sports Commission and served on various committees for Fight Night for Kids, a charity event every year. He received his undergraduate degree from North Carolina State University. Josh lives in Charlotte with his wife and two children.